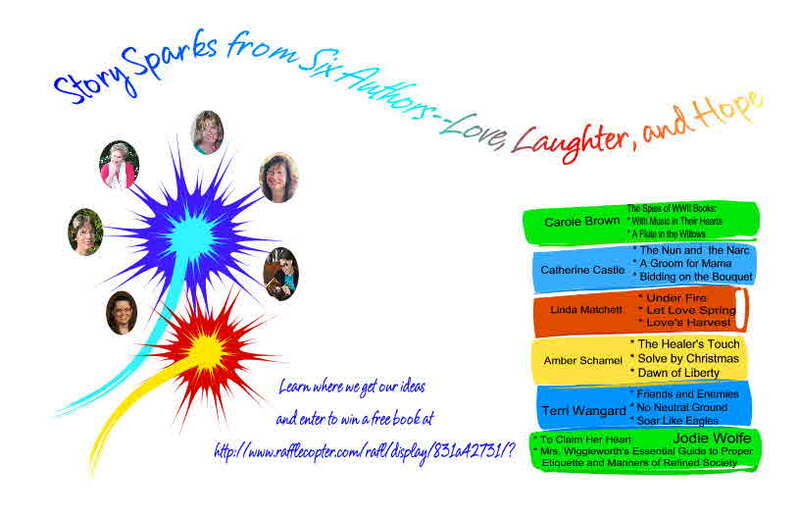 Welcome to the Story Sparks multi-Author Blog Tour.. Between May 21-26, 2018, readers get a chance to enter and win ebooks from six different authors Today, Jodie Wolfe is the featured author. Two lucky winers will be awarded either her To Claim Her Heart or Mrs Wigglesworth's Essential Guide to Proper Etiquette and Manners of Refined Society. Jodie will be talking about the Cherrokee Strip Land Run of 1893. Read on to discover what sparked Jodie's creativity and to enter the Rafflecopter (found at the end of the post) to win her heartwarming book. September 16th will mark the 125th anniversary of the Cherokee Strip Land Run of 1893. It was our Nation’s last great race for land. 115,000 people showed up to race for 42,000 plots. I can clearly picture that day. It was hot and dry. Folks gathered along nine different starting places located along the Kansas border and south of the Cherokee Strip in Oklahoma Territory. All manner of conveyances could be seen—people on foot, horseback, buggies, wagons, bicycles, trains, etc. I can easily imagine the clamor and chaos as all those assembled awaited the gunshot that would signify the start of the race at noon. People were desperate. The country had undergone an economic catastrophe with the plummet of the New York Stock Exchange due to the overinvesting in the railroads. Many businesses that depended upon the railroad were forced to close their doors. Quite a number of banks either closed or called in their loans. It was a difficult time. Such is the backdrop for my new novel, To Claim Her Heart. This book is especially significant to me since it was my dear mother-in-law who introduced me to the history of the land run. It mattered to her because she had several relatives who completed in the land race and found claims. I vividly remember the summer of 1997 when we stopped off in Oklahoma to see one of those original properties. My sons and I tromped over the land and saw the homestead that was built in 1894. The first home had been a soddy that didn’t last longer than a year. The rock home I saw was partially built into the side of a hill and in a state of disrepair. A stream gurgled nearby and within a couple of miles, the Gloss (Glass) Mountains cropped out of the landscape. It didn’t take much for me to start imagining characters tromping through the area and choosing to settle there. While Mom never lived to see this book finally published, she knew that I was working on it in her last days. I’m so thankful that she shared her rich family history with me. Quite a few of the family stories she told me were included in my book. Jodie Wolfe creates novels where hope and quirky meet. The power of story to influence lives and change hearts is what motivates her to weave tales that tell of the Savior's faithfulness and forgiveness. 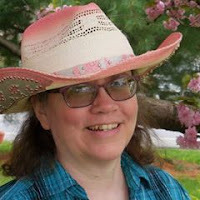 She's been a semi-finalist and finalist in various writing contests and is a member of ACFW and RWA. When not writing she enjoys spending time with her husband in Pennsylvania, reading, walking, and being a Grammie. Learn more at www.jodiewolfe.com. Competition should be relegated to the male species. Proper young ladies should avoid a situation which permits rivalry, particularly involving the male species. If unavoidable, allow the gentleman to win. Be above reproach in this manner. At the beginning of each chapter I created advice from a Mrs. Wigglesworth. Of course, most of my characters do the complete opposite. :) Because I’ve had such positive feedback in regard to these sayings, I created an ebook of her quips. 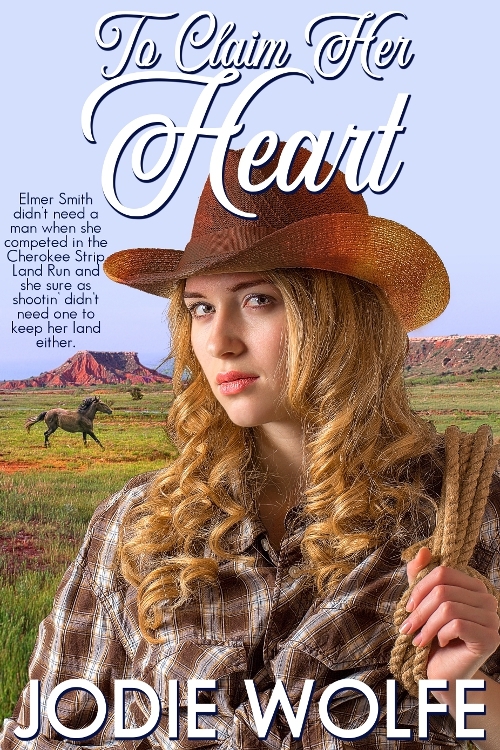 I’ll be giving away a copy of it as well as an ecopy of To Claim Her Heart, so be sure to leave a comment. What time period/historical event draws your attention? Link to Rafflecopter entry form: https://www.rafflecopter.com/rafl/display/831a42731/? I love visiting historical sites. Seeing the stone house would have been fun for me. It was really neat to see!